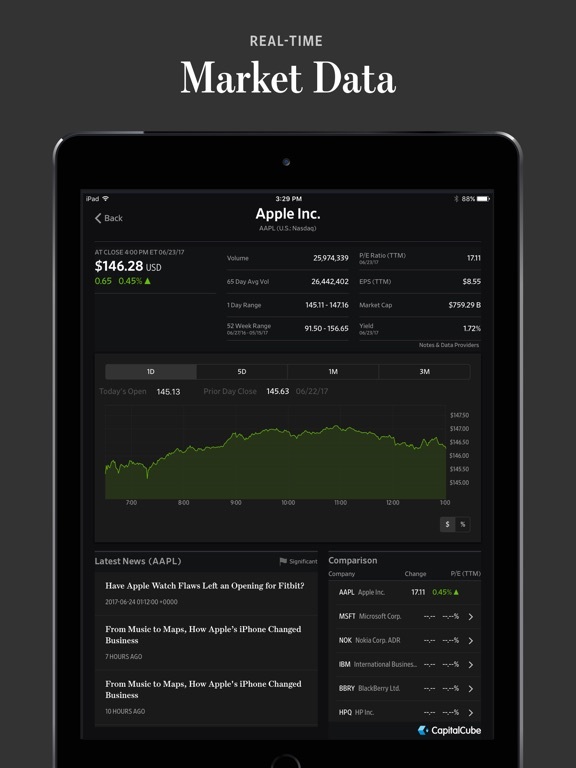 Stay ahead of the competition with the app that’s as ambitious as you are. 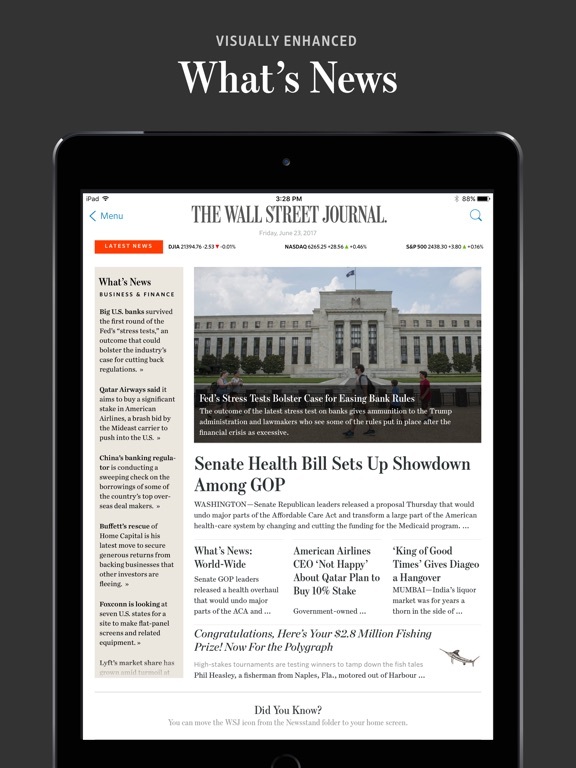 Get the trusted insights and in-depth analysis you need from The Wall Street Journal, America’s most trusted newspaper—providing key decision-makers around the world with peerless reporting since 1889. 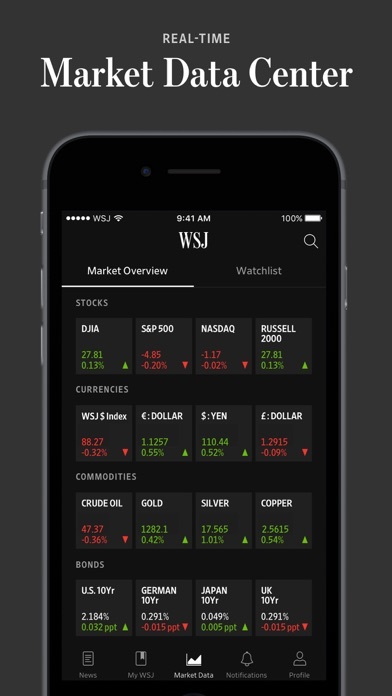 Download the WSJ app today and receive instant access to The Wall Street Journal’s award winning journalism, including world-renowned coverage of the news moving stock markets and impacting business—from the Trump administration, to Brexit and beyond. 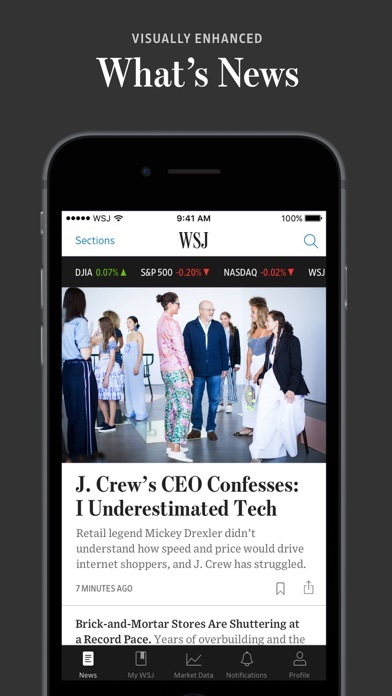 Simple and easy to use, the WSJ app provides you with the trusted insights you need, wherever, and whenever you need it. 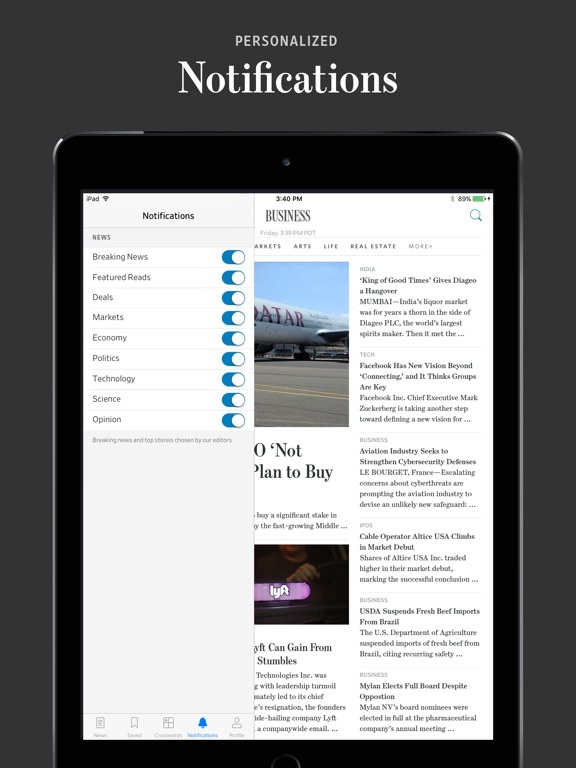 Access real-time quotes, breaking news and the latest headlines impacting business and finance. 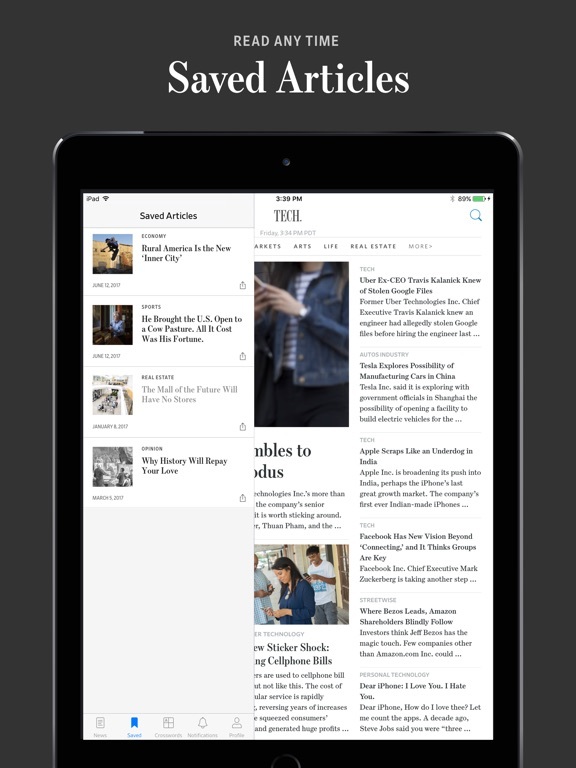 Plus, explore a wide range of dedicated sections with insightful articles, including: Politics, Opinion, World News, Lifestyle, U.S. News, Technology, Economy and more. 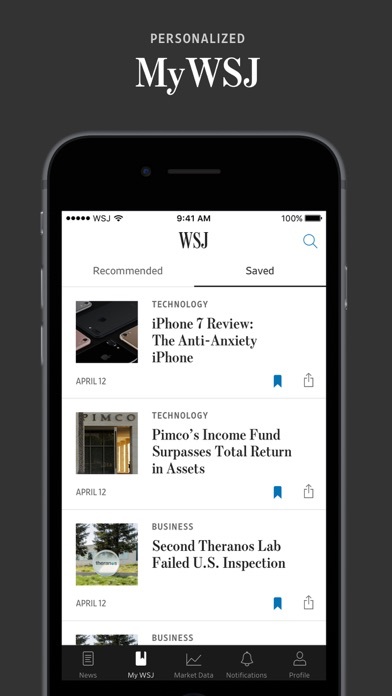 (+) Full access to the WSJ app, WSJ.com and WSJ. Magazine—our award-winning lifestyle publication. (+) Multiple ways to read the newspaper including access to global digital editions of The Wall Street Journal—U.S., Europe and Asia. (+) Trusted insights from a world-renowned newspaper, with over 125 years of peerless reporting and award-winning journalism. (+) Unlimited access to a wide range of dedicated site sections, including: Business, Markets, Politics, Opinion, World News, U.S. News, Economy, Technology, Lifestyle and more. (+) World-renowned business news and coverage on the economy, including real-time quotes, global markets data, the latest on mergers and acquisitions, plus much more. 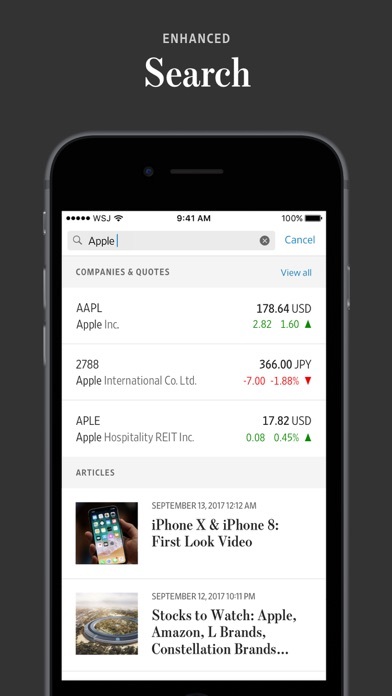 (+) New feature: What’s News feed: A real-time news feed, curated by The Wall Street Journal’s award-winning journalists—featuring must-know global news across business, finance, politics and the economy throughout the day. (+) New feature: Ability to print out articles directly from your mobile device. (+) New feature: Save and Share articles to read later. (+) Off-line reading, enabling you to remain ambitious, wherever you are. (+) Alerts and notifications for breaking news, developing stories and live updates—including the ability to follow your favorite journalists. (+) Get the latest breaking news from around the world, instantly available on your watch screen, with the ability to save and read later on your iPhone or iPad. (+) Receive alerts and notifications with breaking news developments and updates from around the world—from America and Canada, to Europe, Asia and more. You can now have the world-renowned and respected journalism from The Wall Street Journal, America’s most trusted newspaper. 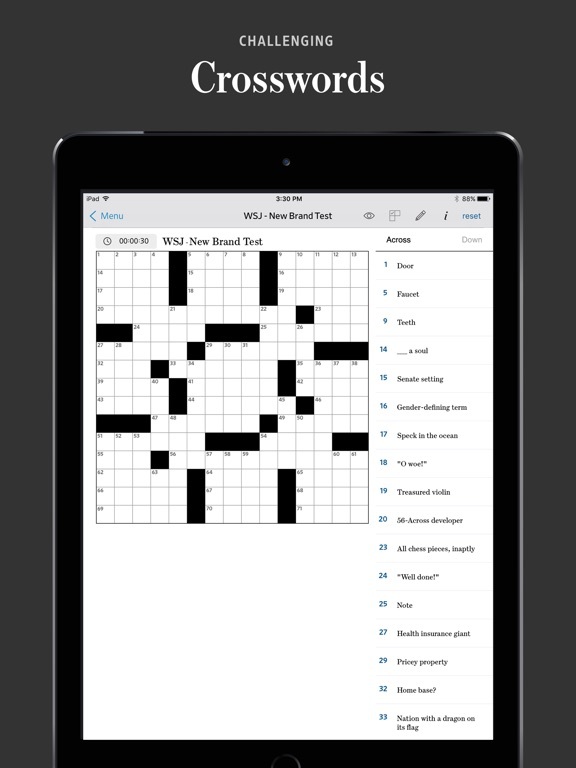 Available for subscription for $36.99 per month and receive unlimited digital access—including full access to WSJ.com, the WSJ app and the WSJ. Magazine digital edition. Your subscription will renew automatically each month and payment will be charged to your iTunes Account within 24-hours prior to the end of the current period. You can turn off auto-renewal by going to your Account Settings after purchase. No cancellation of your subscription is allowed during the active subscription period. Any unused portion of a free trial or introductory period, if offered, will be forfeited when you purchase a subscription to The Wall Street Journal, where applicable. Разработчик: Dow Jones & Company, Inc., publisher of The Wall Street Journal. ★★★★ (455) The Wall Street Journal.